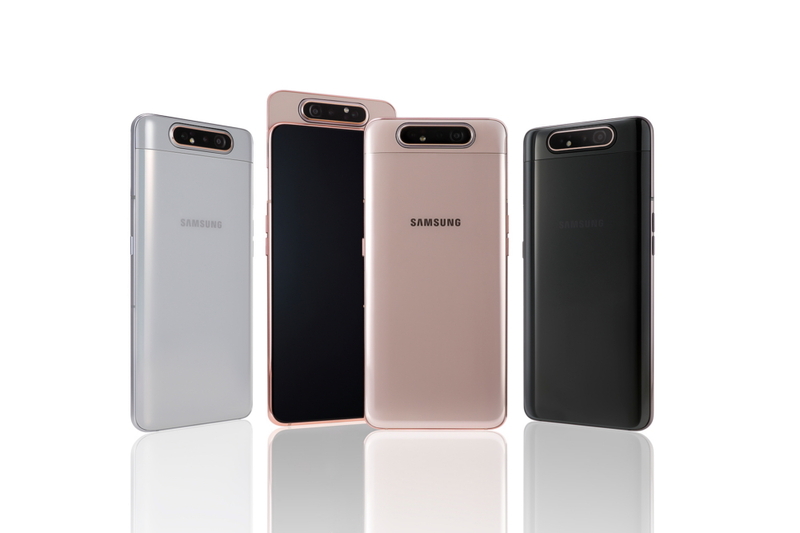 Samsung Electronics reveals the new Galaxy A80 – a smartphone created for the way people are engaging in the Era of Live. People are increasingly using their smartphones to share live interactions – capturing spontaneous photos, streaming live video and connecting over shared experiences that are happening right now. We are moving from the ‘era of the selfie’ to the ‘era of live’, where people are fostering more genuine and meaningful connections. Built to drive this evolution, the Galaxy A80 offers compelling innovations: a captivating, full-screen display, Samsung’s first revolutionary rotating camera and an intelligent battery. For more information about the Galaxy A Series, visit news.samsung.com/galaxy, www.samsungmobilepress.com or www.samsung.com/galaxy. ***Screen measured diagonally as a full rectangle without accounting for the rounded corners. ****Typical value tested under third-party lab condition. Rated (minimum) capacity is less. For more information, please visit www.samsung.com.